The sun has recently been seen without any spots. According to Vencore Weather, the first blank appearance occurred on June 4 and lasted for about four days; spots became visible again but then vanished later in the month for a second time. This activity is considered to be a sign that the sun is moving from its solar maximum phase—which involves frequent spotting—to its solar minimum phase where the surface is relatively clear, notes WOOD-TV. NASA defines sunspots as "planet-sized islands of magnetism on the surface of the sun...[which] are sources of solar flares, coronal mass ejections and intense UV radiation." 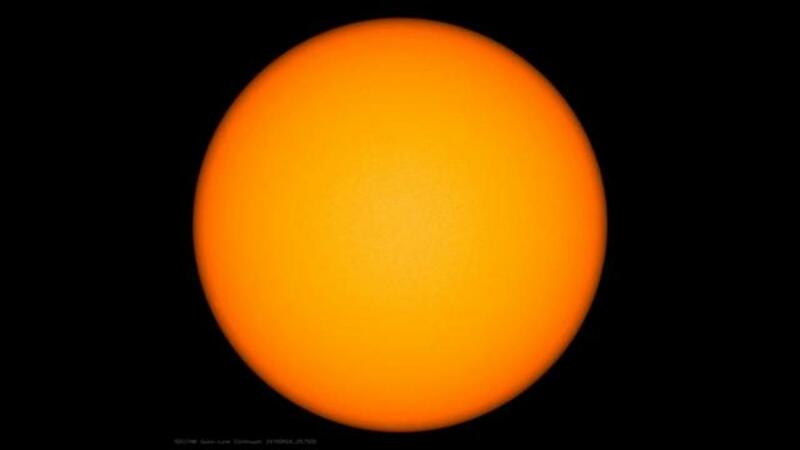 Sunspots appear dark because they are often thousands of degrees cooler in temperature than their surrounding area. According to Seeker, the maximum and minimum cycles the sun goes through last for approximately 11 years each, and the next minimum is expected to reach its lowest point in 2019 or 2020. As a result, over the next few years, experts believe the northern lights could weaken and more space junk could surround Earth as the planet's outer atmosphere contracts in response to the sun's reduced output.